Cotswold Water Park East At Pit 132 a Pintail, 116 Teal, two Wigeon, Egyptian Geese, a juvenile Peregrine caught a Starling, two Greenshanks, five Little Ringed Plovers, 11 Ringed Plovers, two Dunlins, four Green Sandpipers, five Common Sandpipers, a Grey Wagtail and two Yellow Wagtails. (Nigel Pleass). Sharpness A MANX SHEARWATER on the river towards Berkeley at 10:42am. (Mark Dowie). A juvenile SHAG on the basin wall at the pool at SARA Lifeboat Station at 2pm. (Les Ditchburn). WWT Slimbridge A juvenile WOOD SANDPIPER on the Rushy all day today. (Martin McGill). Also today from Zeiss Hide two Pintails, two Avocets, 17 Ringed Plovers, four Ruff, 115 Dunlin, five Redshanks, two Snipe and a Cetti’s Warbler. At South Lake 125 Black-tailed Godwits, nine Knot,11 Ruff, four Curlew Sandpipers, a Green Sandpiper, two juvenile Spotted Redshanks, two Greenshanks and 27 Redshanks. 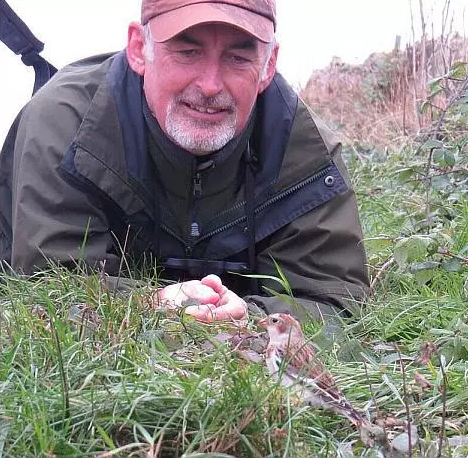 (Andy Jayne) and a Garganey on the Rushy. (Mark Dowie). Frampton This morning at Court Lake the adult Yellow-legged Gull still, two Shovelers, eight Great Crested Grebes, 14 Gadwall, two Common Tern and 20+ Sand Martins flying S. (Nick Goatman). Beachley Point A Redstart, a Tree Pipit, two Lesser Whitethroats, six Whitethroats, a Greenshank and a Painted Lady this morning. (Lewis Thomson). Guscar Rocks A CURLEW SANDPIPER, a Common Sandpiper, a Yellow Wagtail and three Wheatears today. (Lewis Thomson). Longney At high tide today 90+ Curlew, 15 Black-tailed Godwits, 12 Common Sandpipers, 350+ Canada Geese, 50+ Barnacle Geese and five Little Egrets. (Mark Dowie). Lydney Partial Cetti’s Warbler song heard at Lydney Docks near the old Pine End Works entrance at 11am and a Common Sandpiper on river. (Frank Williams). Cleeve Hill Two Whinchats and three Stonechats in the Heather Enclosure today. (Roy Shilham). Ashleworth Ham Five Goldcrests (4 juvs), a Kingfisher, a Nuthatch, two Great Spotted Woodpeckers, two Ravens, 15 Mallards, five Shovelers, a Wigeon and two Grey Herons today. Also an active Hornets nest in old high woodpecker hole close to the hide. (John Fletcher).